Crystal Palace are targeting a move for Chelsea's Gary Cahill after rivals Fulham registered their interest in defender Scott Dann. 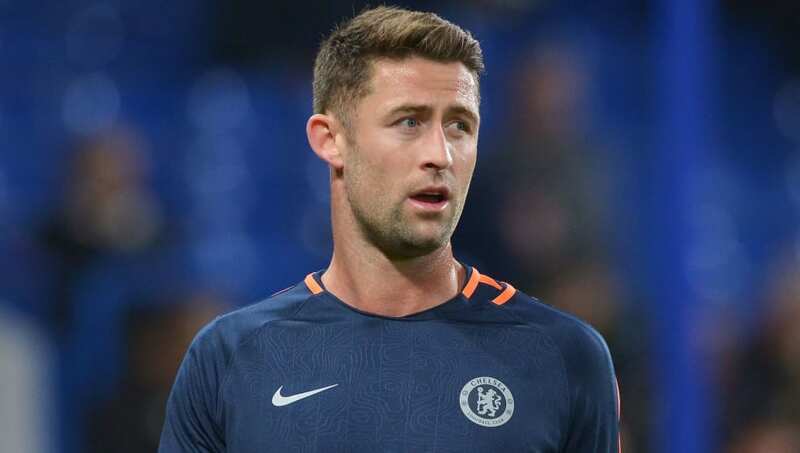 Cahill, who has also been linked with Arsenal this month, has been out-of-favour under new Chelsea manager Maurizio Sarri this season, and has struggled to earn first-team action at Stamford Bridge. ​The Sun report that Eagles boss Roy Hodgson is keen on enticing the former England international to join him at Selhurst Park, and overlook a move to ​Premier League rivals Fulham. The report adds that their interest in Cahill stems from the Cottagers' interest in Palace defender Scott Dann, who has struggled to dislodge James Tomkins and Mamadou Sakho as Hodgson's first choice central defenders. It's claimed that ​Palace are interested in taking the 33-year-old on loan for the rest of the season, but that both parties would be open to finalising a deal that would extend beyond that. Fulham boss Claudio Ranieri is a known admirer of Cahill, and has previously spoken of what signing him could do in their bid to avoid relegation: "Gary is a very important player and for us it would be fantastic, but I don't know if he wants to come and fight with us." Ranieri's side have failed to agree personal terms with the Chelsea centre-back though and instead have switched their attentions towards Dann, who has similarly found himself out of first-team football in recent weeks. 31-year-old Dann is in his sixth season at Selhurst Park, after arriving from Blackburn Rovers in the Championship back in 2013. The former England Under-21 international has since made more than a hundred appearances for the Eagles, but could now be set for move across London this January.